Ibiza Spotlight's choice picks for the month. With the arrival of April we see the first proper prelude to the summer: restaurants are opening; parties are being announced left right and centre; there's music in the streets and it's Easter time everyone! As ever, we collate a varied selection of ways to enjoy the island from eating great local cuisine to enjoying things to do with friends or the family. Welcome all and welcome summer 2019! If you are looking for parties in April, then head on over to our new regular monthly party highlights feature, where you'll find a slew of great going-out events. Everyone loves Ibiza's hippy markets, browsing the stalls for a multitude of gorgeous gifts, chic hippy clothing or maybe a lovely necklace just for you. The good news is that from April the weekly markets of Punta Arabí on Wednesdays and the Las Dalias Saturday market (with extended opening hours) are very much back in business. Plenty of present-buying opportunities and no excuses for not buying one. This month the first beach clubs and restaurants openings begin. First up is the divine "Mexiterasian" fusion temple to food, Bambuddha, opening on the 12th. The next day on the 13th and for a luxury gastro experience, head to Nassau Beach Club in Playa d'en Bossa. Fans of Nikki Beach's all-white, super-chic style will be pleased to hear that it's open from the 25th. A buffet of fine dining and glamour. Foodies are going to love Ibiza Sabor, a celebration of local food that's coming to selected restaurants across the island. 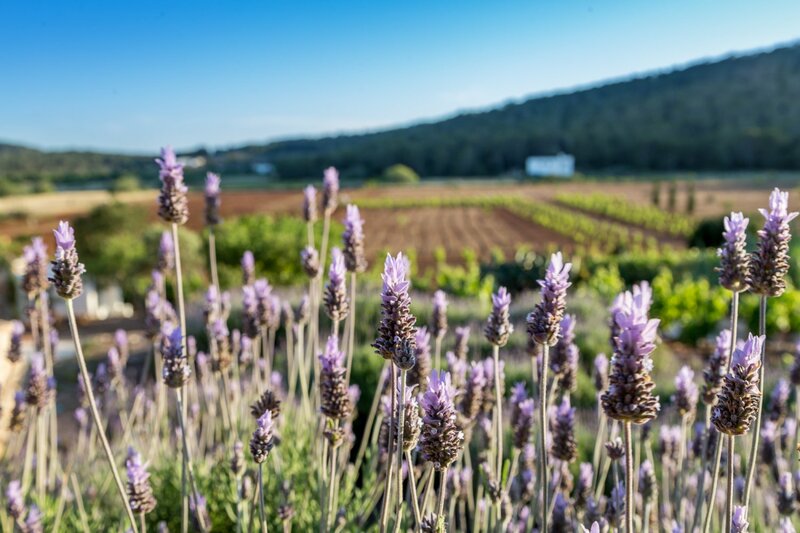 Each place has its own three-course menus and this spring, the focus is on using fish from Ibizan waters such as mackerel gerret and boga; together with local olive oil, cured sausages, vegetables, fruit and honey. Menus cost €25 per head and offer a decadent, yet inexpensive, dive into local cuisine. Full details on participating venues coming soon. With Easter holidays comes Easter fun at Acrobosc Ibiza Adventure Park. Opening from early April, all can test their skills on climbing platforms, crossing suspended netting and clearing obstacles. If you are here with the family then know that this park is ideal for adults, teenagers and children of age three upwards. An ideal treat for anyone and bags of fun too. For something very culturally Spanish, look out for the Easter processions, where men (or women) accompanied by religious regalia, make their way through the streets, starting from Maundy Thursday. The biggest parade takes place on Good Friday, going from the cathedral in Ibiza Town, moving through the walled citadel of Dalt Vila and descending into the old market square. We'll be back soon with timings as they are announced. If you love sailing, then on Easter Sunday, head down to take a look over San Antonio Bay, when you'll see the boats coming in that are competing in the annual Ruta de la Sal regatta. More than 300 yachts will be sailing into the bay as they reach their end point. With three routes departing from Barcelona, Denia and Mallorca, you can enjoy a yacht flotilla and find out who wins - a pretty spectacle that makes competition fun. A beautiful island like Ibiza needs everyone's participation to keep it that way, so on Earth Day, at a minimum, start to avoid all plastics and take reusable cups, plates and cutlery to the beach or on a countryside trip. Anything you do to help will do some good, even if it's just picking up your rubbish and that of other people's. Ibiza Spotlight supports envoronmentally-aware businesses and we've compiled a list of ones doing good things. Find your eco choice today. Being so much of a success last year, the second Ibiza Swing Fun Festival is back with three days of free live swing music al aire libre in San Antonio, with 15 local, national and international bands signed up. More than just music, you can shake your booty in the Lindy Hop battle or sign up for Sunday's pool party. Move your body to the rhythm of Swing. Bring your running shoes and do your own spring clean by taking part in the Ibiza Half Marathon (Media Maratón) along with 1200 other runners. You can choose from a 21 km route from San José to Ibiza Town or a friendlier on the feet 10 km run going from Sant Jordi. Register now and feel the Ibiza wind in your hair as you sprint to success. If you need to get about the island, you'll need a car, so do take a look at our hand picked selection of local car rental firms.